History: The Murphy Alumni Association began in 1995 and in 2001 Hall of Fame was established to recognize graduates and those associated with Murphy High School whose accomplishments while at Murphy and since, are such to bring great honor to Murphy High School. This year there were many qualified nominations, but the policy is to limit the number to no more than six inductees. It is not easy to become a member of the Hall of Fame since a person must be nominated to be considered, and many factors must be taken into account. Considering the past inductees, it is obvious that the 2011 inductees will indeed be in good company. Julian D. Sawyer, Col. USAF, Class of 1946. Julian D. Sawyer was born in Mobile September 2, 1928 and educated in the Mobile public schools, attending Barton Academy in 1941, then enrolling at Murphy as a midterm student, attending from 1942 to 1946. While at Murphy Julian was a Student Government representative his Junior Year. He worked in the welfare store and was a member of the Football Team his Sophomore and Junior Years. He was also Vice President of the Junior Class. He is remembered by his high school friends as a fun loving kid who wasn't afraid of hard work. Like many students in those years just following the Great Depression, he left school at mid-day in the work-study program. His was not a life of high school clubs and community service activities, but of work and family. He enjoyed sports but family obligations cut his football career short. He may not have been a hero of the gridiron but the ladies remember him as a very good dancer, so he was never short of partners when the music began. After graduation, Julian heeded the call to serve his country. He began primary flight training in June 1948 as an aviation cadet in the United States Air Force. At that time, signs of victory in World War II were not yet evident. In 1959, early in his career, then Captain Sawyer was awarded the Soldier's Medal in recognition of his actions saving crewmen from a burning aircraft following a crash at Myrtle Beach Air Force Base, S.C. Julian Sawyer graduated from the National War College in 1969 and achieved the rank of Colonel in the United States Air Force. Serving in 3 Tours of Duty in the Vietnam War, he flew 463 close-cover missions for soldiers on the ground as Tactical Fighter and Wing Commander of the 615th Tactical Fighter Wing. For his service, bravery and leadership he was awarded the Silver Star, 5 Flying Crosses and 23 Distinguished Flying Medals. During his 26 year military career, he served in many capacities including Air Training Command as a flight instructor, flight commander in the F-86 Sabre Jet, F-84 Thunder Jet and F-100 Super Sabre fighter aircraft, Commander of the 615th Tactical Fighter Squadron and Wing Commander of the 366th Tactical Fighter Wing. He retired as Deputy Director for Operational Command and Control in the Pentagon. Following retirement, Sawyer relocated to Demopolis, Alabama to begin a second aviation career as an airport manager, fixed based operator and flight instructor. Under his leadership the Demopolis Airport was transformed from a neglected facility facing closure into a major economic resource for Marengo County. He continued to promote the growth of general aviation as a flight instructor by providing basic and advanced flight training to pilots in the area. His personal achievements and awards include Alabama Aviation Hall of Fame Class of 2011. Col. Sawyer dedicated his time to his family and to his work, limiting other activities though some of his professional activities are community centered, such as his board service on the Alabama Council of Aviation. He also served on the Aircraft Owners and Pilots Association, and Experimental Aviation Association, War Birds Group. Julian Sawyer's military service, evidence of his bravery, and his love of country and his fellow man, is his outstanding achievement making him worthy of the Murphy High School Alumni Hall of Fame. While at Murphy, Buddy Davis was active in student government all four years and ran for Student Body President his Junior year. He represented Murphy at the University of Alabama for Student Government week. Buddy served on the newspaper staff, the stage production crew, participated in the music department and received academic honors all four years. Following high school graduation, he worked full time for a while and in 1951 enlisted in the United States Air Force. While on duty in England, he began taking correspondence courses in physics and math, as well as in technical schools for two years. In 1955, he was honorably discharged and enrolled in the School of Engineering at Auburn University, graduating in 1959 with a degree in Electrical Engineering. After receiving his degree, he was employed by Douglas Aircraft Company which later merged with McDonnell Aircraft to form McDonnell Douglas (now known as Boeing) and began his long and outstanding career in the aerospace industry. During that time he earned a Master's Degree in Electrical Engineering from UCLA. While his academic degree was electrical engineering, he spent his more than four-decades-long career primarily in the aerospace industry. 2004 Recognized by George Petrie Society at Auburn for interest, support and promotion of excellence at Auburn. After retirement, Buddy was a student of the stock market and gradually became a stock market analyst and investment expert. He and his wife have generously supported many charities and educational organizations. In 2007 Davis made the third largest donation in the history of Auburn to the College of Engineering and the Aerospace Engineering Building was named the Charles E. “Buddy” Davis Hall. In 2008 he was the largest single contributor and donor to his fraternity at Auburn, which was dedicated in his honor. In 2010, he and his wife contributed a sizable donation to Murphy High School in support of MHS Athletics and the Culinary Arts Program. Buddy is a member of Institute of Aerospace Sciences, Aerospace Electrical Society, American Institute of Aeronautics and Astronautics, Auburn Engineering Keystone Society, a core group of alumni who share a vision for exceptional engineering instruction, hands-on experience, and an environment conducive to the discovery of new technology and innovation, and the George Petrie Society. 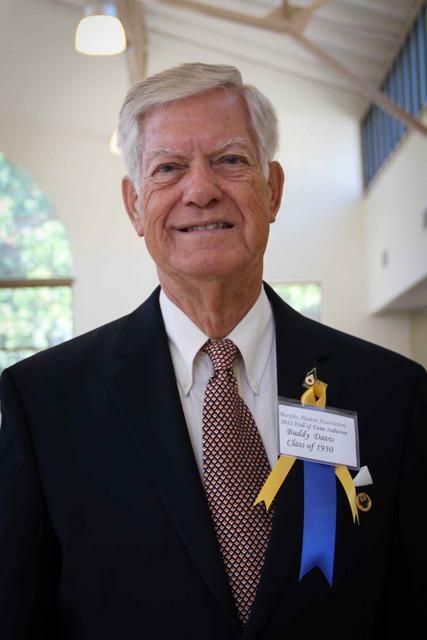 In 2012, Buddy was inducted into the State of Alabama Engineering Hall of Fame. Other memberships are Rotary Club International, Chairman, Newport Harbor Yacht Club, and Airport Commission in Greenville, Texas. He is President of Home Owners Association of Republic Homes, President of WBCCI, Region XII, President of West Point Parents Club, and a Member of the Auburn Alumni Association. He is also a member of the Southern California Professional Engineers Association. While at Murphy, Kathryn served on the Hi-Times staff for 3 years and was the manager 2 years. She was a member of the Spanish Club 2 years, Future Teachers 1 year, and a Teacher Assistant 2 years. Following graduation she continued her education by receiving an Associate Degree in Greek Language and Religion from St. Basil's Academy in Garrison, New York. She continued her education at Spring Hill College, receiving a B. S. in Elementary Education, then a Master of Social work from Tulane University. She completed her education at the University of Alabama with a Ed.D. In Higher Education Administration. Instructor, Department of Sociology, Mobile College. Adjunct Professor – Sociology, Spring Hill College and University of South Alabama. Family and Children's Services Program Administrator, Mobile Co Dept. of Human Resources. Salute to Women of 1998 Award Declaration by Daughters of Penelope in Washington, D.C. Declaration by Mayor Dow and Mobile County Commission as Dr. Kathryn Coumanis Day. Mobile Bay Magazine feature as one of the 100 Leading Movers and Shakers. She is a Licensed Certified Social Work (LCSW), Private Independent Practice (PIP) and Academy of Certified Social Workers (ACSW). Kathryn is married to Nick Coumanis and has two children, Christ Coumanis and Tonie Ann Coumanis Torrans. 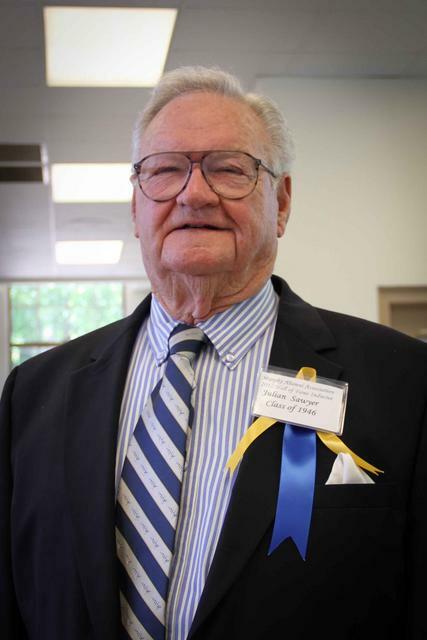 Todd attended Sidney Phillips and Murphy High School, Following graduation in 1962 Todd attended the University of Montevallo, receiving a B.A., in Political Science. While at Murphy, he was a member of the Usher's Club, National Honor Society, and was on the football and golf athletic teams. He is married to Linda Davis and they have 2 daughters, Jennifer Strange Crumpton and Elizabeth Strange Burt, and 5 grandchildren. After graduation Todd was employed by South Central Bell as a Management Assistant and Unit Manager in Birmingham and later became Group Manager in Florence, Alabama. In 1974 he was elevated to District Manager of Residence Service Center in Birmingham. In 1977 he was named District Manager and Chairman, District Operations Council, Montgomery. Todd also worked for Wynton Blount and became CEO and co-owner of Blount-Strange Automotive Group. After selling the business in 2000 he began working for an Alabama governor and became the Director of the Alabama Development Office bringing business to the state, including the automobile manufacturer Hyundai Motors. When the Chairman of the Montgomery County Commission retired, Strange ran for office and was elected without opposition where he served for 5 years. In 2009, when the Mayor was elected to the US Congress, Todd was elected to fill the unexpired term after which he ran for the full term and won by a landslide. His goal was to sustain a safe, vibrant and growing Montgomery. He has worked tirelessly to revitalize downtown Montgomery. He participates in many volunteer activities including University of Montevallo Board of Trustees, former chairman for Montgomery United Way, former president of the Alabama Institute for Deaf and Blind, former chairman of Montgomery Riverfront Development Committee and former chairman of Montgomery Riverfront Alliance. He also served on the boards of several banks, chambers of commerce, advisory boards, American Red Cross, Kiwanis Club , South Alabama State Fair, YMCA Metro Board, and Montgomery Business Committee for the Arts. Governor Riley's Blue Ribbon Commission for Reform of State Government; and Montgomery Living River Region Citizen of the Year. 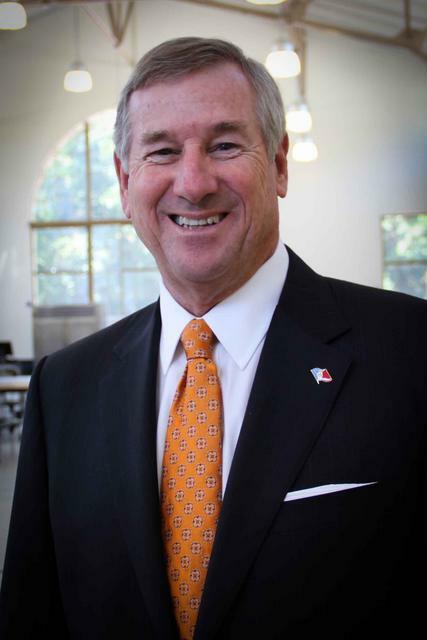 His nomination stated that Mayor Strange is a man of outstanding character, who has worked diligently to promote the interests of all the citizens of Montgomery County and City. He has an open mind to new ideas and the art of working with people that is bringing about a re-birth of downtown Montgomery. He is a man of achievement! While a student at Murphy, George was the business manager of the Murphy Hi-Times. The saxophone was the focus of George's earlier years. He played the in the Band all four years. Club Activities included: Music Club for 2 years, Hy-Y Junior and Senior years, President of Horte and served on the nomination and election committee for 2 years. He also played his saxophone with classmates, Ward and Ebb Swingle, in their big band ensemble, the “Swingle Swingsters”. George was a long time member and Elder of the Government Street Presbyterian Church. He served in the U.S. Army Air Corp during World War II, playing his saxophone in the band. He was a graduate of the University of Alabama, and while there played with the Alabama Cavaliers. He was a CPA partner with Smith, Dukes and Buckalew, and is remembered as a kind man who never spoke ill of anyone. George had a great love and knowledge of music, but his greatest love was for the Mobile Opera. His wife said that he loved opera with a passion that brought tears to his eyes when he spoke about it. For 40 years he was a member of the Mobile Opera and served on the Board of Directors, as Treasurer for 17 years, and President 1980-1981. George is survived by his wife Beverly Templeton, daughter, Eleanor Harris and brother Charlton D. Harris, step-children, Richard, Eric and Deborah Templeton. 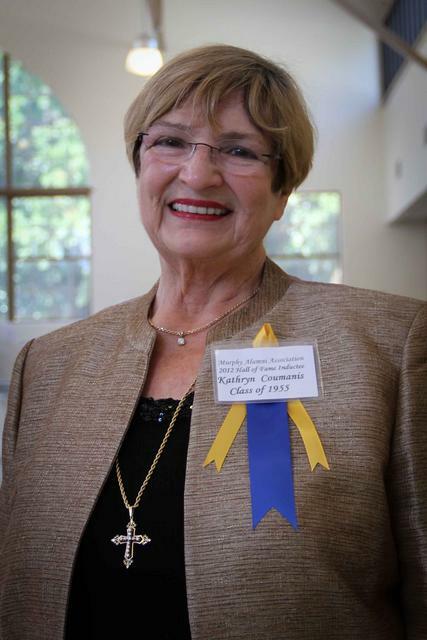 While attending Murphy, Janice Thames Wiseman served on the Welfare Committee for 3 years, was a Teacher Assistant for 3 years, Vice President of the Psychology Club and a Cafeteria Assistant her senior year. Nominated by her class members, who described “Teko” as the personification of a dedicated Community Advocate with dreams and visions of ways to improve her community and the determination to make them come to fruition. She effectively utilized her skills and leadership abilities to marshal support and involvement of civic leaders, government officials and influential citizens to accomplish things that continue to benefit her community to this day. Her life of activism and service required a major commitment of time, all the while she and her husband, Dr. Hollis Wiseman, were raising a family of six children. Holly Wisemen, Dr. Merrell Wisemen, Valery DeLaney, Dr. Carole Norden, Jay Wiseman and David Wiseman. She was a passionate activist, but her abiding love and tenderness for her family took precedence over all, for she was first and foremost a devoted mother and wife. That she could fulfill these roles, while dedicating so much of herself to her community activities is indeed a tribute to a strong, confident, and visionary woman. 1960's –Founding of “ABLE” (Alabamians Behind Local Education) an organization founded to help peacefully integrate the Mobile County schools. 1983 - Founding leader and life time activist of “Keep Mobile Beautiful”, working as its coordinator for 10 years. She was responsible for many beautification projects that are visible today. 1996 - Founder and leader of “Baldwin County Trail Blazers” and conceived a project to build a hike/bike trail beginning at the Battleship on the Causeway and extending along the Eastern Shore to Weeks Bay, raising over 6.5 million dollars through private donations and grants. The 32 mile trail is only 2 miles short of completion. Fairhope Public Art Library where she assisted her husband Dr Hollis Wiseman in raising 7 million dollars to build the current state of the art library. At her death in 2011, she was described as a lifelong fixture in community affairs in and around Mobile. She was a long time member of Dauphin Way Methodist Church and in 1992 was selected First Lady of Mobile. She also received the National Award for “Keep Mobile Beautiful” and a Music Scholarship from Converse College.